For those unfamiliar with civil asset forfeiture, it is the process in which law enforcement officers take assets from a person. These “assets,” range from literal cash to private property such as vehicles, houses, and small possessions. In every case it is a person’s private property being taken by law enforcement. The property is often taken based upon mere suspicion of said person’s involvement of a crime or illegal activity. What is even more frustrating for the victims of civil asset forfeiture is the person’s ability to regain their possessions after they have been taken. An article from August 11th, in US News titled, North Dakota Case Highlights Civil Asset Forfeiture, highlights the story of New York resident Aaron Dorn. Dorn was arrested on Thanksgiving Day in 2016 in Mandan during the Dakota Access Pipeline protest. Dorn was alleged by a state trooper to have tried to swerve and ram the officer’s car off the road. In June of this year, over two years later, Dorn was acquitted of all chargers, but getting his truck back is a whole other battle in itself. Dorn filed civil proceedings in November 2017 for his truck, but to no avail. There still has been no success in getting his truck back. The state has essentially seized property from an innocent man and continued to hold it without cause. 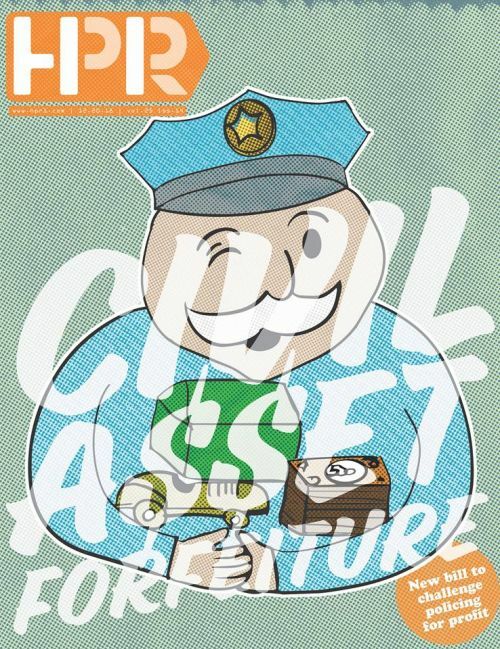 Rep. Rick Becker (R) of Bismarck has formulated a bill to reform civil asset forfeiture. Becker’s bill would pass the ND House in 2017, but garnish zero votes in the Senate. He plans on proposing a bill again in 2019. “I think the biggest issues of civil asset forfeiture being considered ‘constitutional’ are proportionality. Essentially, the government taking property that’s way in excess of value compared to maximum statutory limit of a fine. Secondly, burden of proof in due process issues, in criminal cases the prosecution has to prove the case ‘beyond a reasonable doubt.’ In civil cases to seize property they typically just need to prove ‘preponderance of the evidence.’ The problem in North Dakota is there is a burden shifting scheme, that has lowered the ‘preponderance of the evidence,’” said Mark Friese, attorney at Vogel Law Firm and co-author of Rep. Becker’s bill. “With asset forfeitures it’s policing for profit, they divide it up, the prosecutors get a part of it, the investigating agencies get part of it, the task forces kinda split it up. It’s to the victors go the spoils type of analysis,” added Friese. The reason North Dakota ranked so bad? An example of an “A” is New Mexico, which received an “A-” and was the only state to do so. The State has a higher bar to forfeit property and conviction required to seize property. Stronger protections for innocent third-party property owners. And lastly, no forfeiture proceeds go to law enforcement. For now the residents of North Dakota and even some of those who live out-of-state (the case of Aaron Dorn) have an uphill battle to fight. Money is a powerful driving force, an element of abuse, whether based upon good intentions or simply just a failure to reform. The unintentional corruption creates the intentional.